E.J. 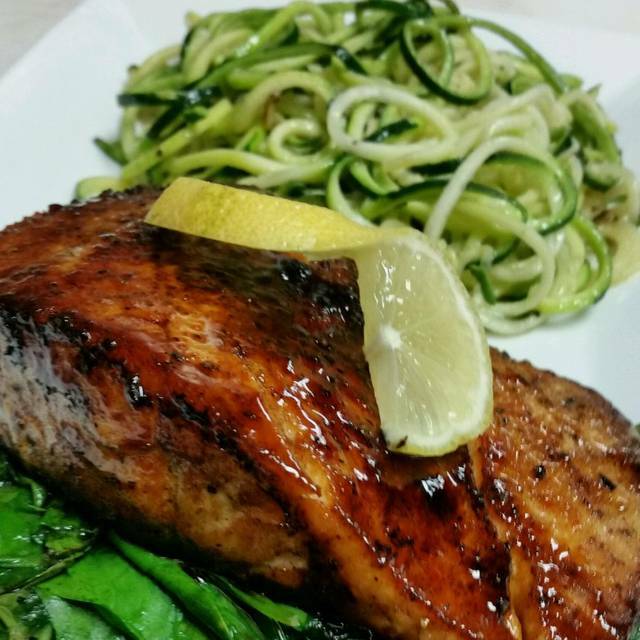 Wills Gastropub is a locally owned and operated restaurant where we believe that it’s not just the chef but also the ingredients that make a dish fantastic. 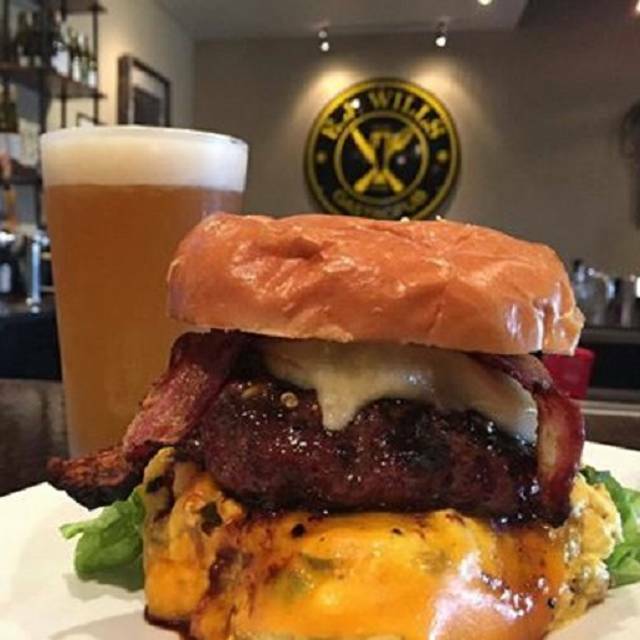 E. J. Wills Gastropub serves up the finest dishes and culinary delights using only the freshest locally sourced ingredients. We are recognized as industry leaders who create innovative dining experiences with exceptional service. Forgot the eggs on the EJ Benedict. Pros - We had the crab cake appetizers which was one of the best I've had. The burgers were exceptional. Cons - The live music the night we were there was really bad. We're afraid to go back in case the same guy is playing. It's better to have no live music than no live music. It was really smokey in there from the grill I think they need to check the ventilation system. I would go back because the food was so good, but my husband won't for these reasons. Service was great. Our server was very attentive. The food is very reasonably priced but not that good. Although the live music was enjoyable, the location is too small-it was unbearably loud. Salmon is so very good, and the burgers are the best around! Great selection of beers too! The food is EXCELLENT! The service is NOT excellent! We went for dinner the first time on Wednesday. 1/2 priced wine on Wednesdays; so, we thought, "great, try a new place!". Wine selection is extremely limited. The only wine by the bottle listed on the menu was unavailable. At the beginning of our experience, we were almost covered up with servers. By the end of our dinner, we were desperately seeking a server. Manager/Owner is a nice enough fellow; but, I'm not sure this is our kind of place. It's too bad as we really wanted to like this place as we are always on the hunt for live music. The night we were there the place was almost empty, even though it was a Friday. I think they were having an a/c problem because it was pretty hot in there. No one mentioned it, however. But the burgers were very good, as were the tater tots that came with them. Our waitress was friendly & helpful. We'll probably go back but I'd check first to see if the place was cool. The warm temperature definitely had an affect on how long we stayed. Great find! The E.J. Burger was amazing. We got there early for brunch and were the only customers in the restaurant. The manager and staff were very attentive - told us they were still tweaking the menu and asked us to let them know what we thought of our choices. One dish was perfect, one dish had some issues - they were quick and gracious about correcting the issues. 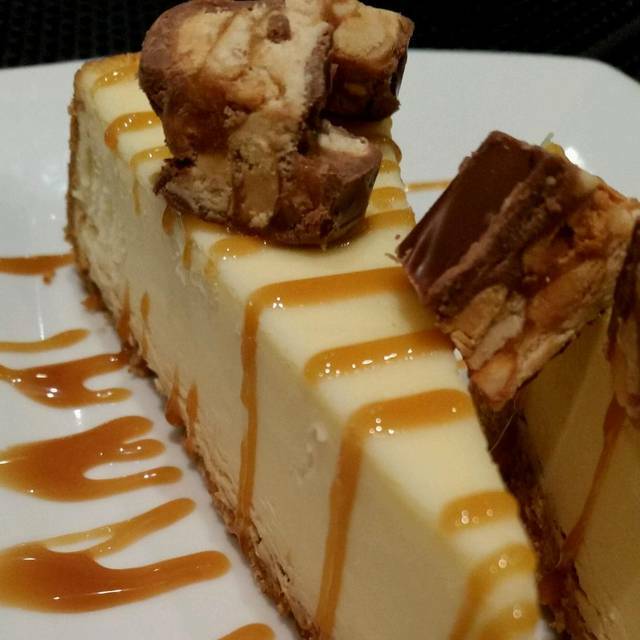 It all tasted great - we will definitely go back, there are other menu items we need to try! My wife went with 3 of her friends and none of them had ever been there before. They liked the vibe and everything that they ordered came out exactly correct the first time. They all felt it was a little pricey but the quality of the food and the excellent service had them all saying they would definitely meet there again. I HAVE NOT SEEN MY OPEN TABLE POINTS YET FOR THIS RESERVATION. Excellent food and an interesting atmosphere, very enjoyable. Great service, good selection of local beers with reasonable prices. Also had some great beer specials. Fried chicken was a boneless cut nice & crispy. The food was good, reasonably priced and the space is nice. Singer/Guitarist was entertaining and was a nice volume. Server was accommodating for our 2 year old grandson. Very enjoyable brunch without a big crowd on Easter Sunday. Had a wonderful experience for Easter brunch. We got to meet the E and J namesakes of the restaurant. I chose place because of the menu and it did not disappoint. We'll be back. The chef is the owner and the food is great. 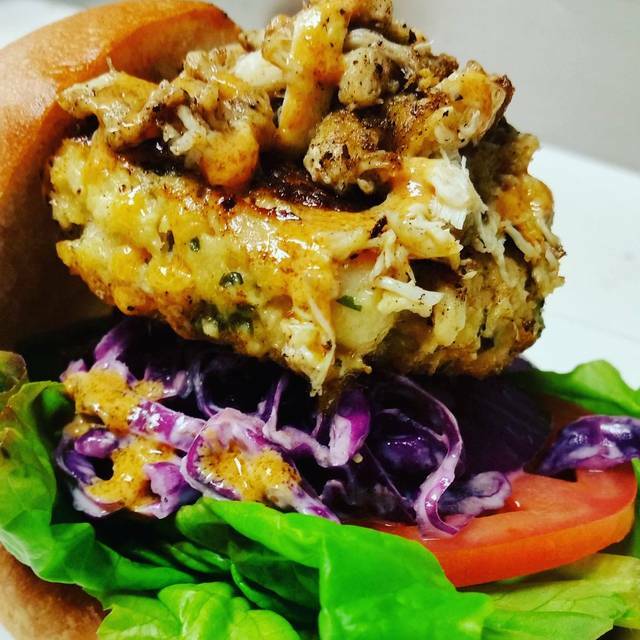 Crab cake sandwich is the best around. Live entertainment Th thru Sat nights. Usually one or two people with a guitar. Good local. Lots of screens for sports watching at the same time. Server was not very good. Another girl helping her was very attentive but you could tell our server probably has never worked in anything other than a chain restaurant. I specifically mentioned I needed to avoid as much dairy as possible and ordered sautéed spinach which she neglected to mention was drenched in butter. We been to location many times, each time I find myself more impressed with little Pub. They have Great Burgers, but the Pork Chop, Honey Glazed Salmon and Crab cakes are must haves as well. The service as always been on point and must nights you'll find the owner checking on you, which I find a nice touch. Should you find yourself near E.J Wills you should stop in, it's worth it!! We Found E.J. Wills to be a hidden Jewel. The Food was amazing, I had the E.J. Burger with the Candied Bacon, and my partner we for the Bacon wrapped Filet. Both were cooked to perfection and you could just taste the Freshness of the Food..
We have been there so many times with pleasant experiences. Last night we took friends from highland park to impress them with the great burgers but the service was slow and the silverwear was filthy, the wine choice was limited and the burger orders were mixed up . Living across the street made this a favorite place to eat previously but provably not anymore. Cambridge Gate has a newsletter daily rating restaurants and this will probably be posted. Went there for an evening meal with friends. Very casual place with some good choices albeit limited but tasty. Fried chicken is only offered white meat. Salad soup was my choice and it was fine. Great food. Slow service. No ambiance. Nice surprise in a non descript location. Boring food and most of ours had been reheated from the day before.